My dad went elk hunting and brought me a few cuts of elk meet. Elk meat is very lean, and contains little to no fat. 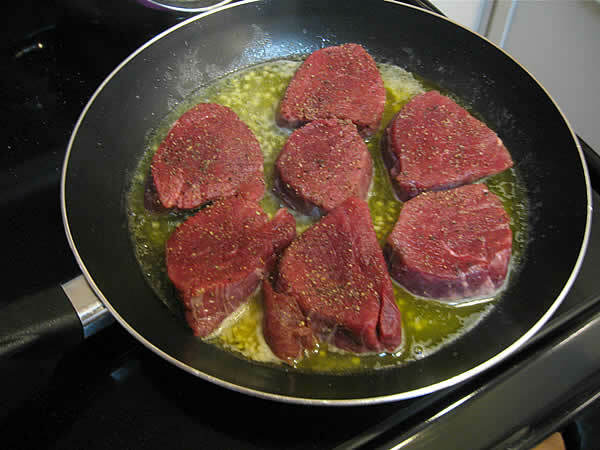 When you cook elk tenderloin steaks, be careful not to overcook the meat because it will become tough. Medium rare is the desired done-ness I prefer, and achieving that is easy when you pan fry it in olive oil. 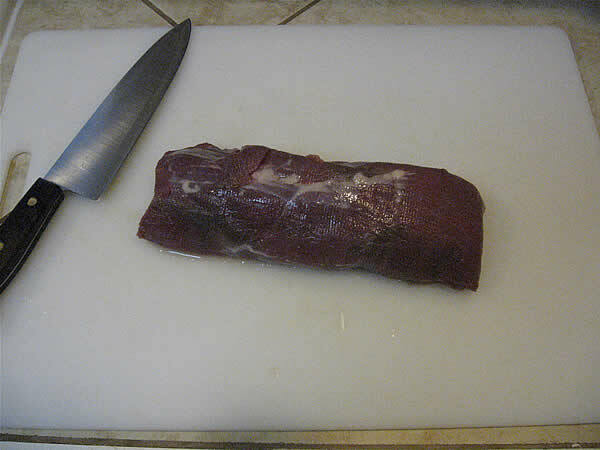 Elk tenderloin ready to slice. 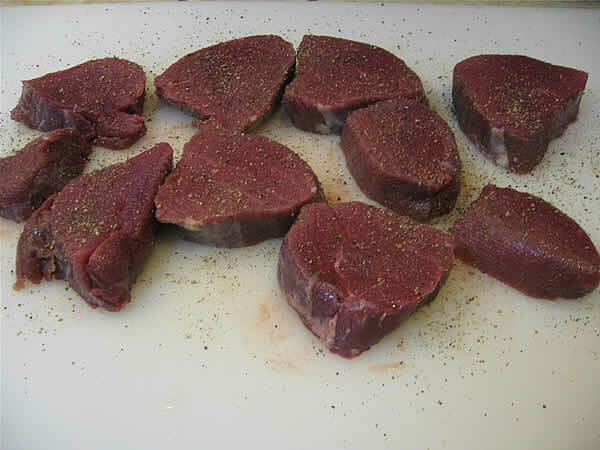 Slice Elk Tenderloin into 3/4 inch medallions. Put the elk tenderloins into the butter/olive oil mixture. Tenderloins have cooked 2 minutes per side on a medium-hot, well heated, pan. 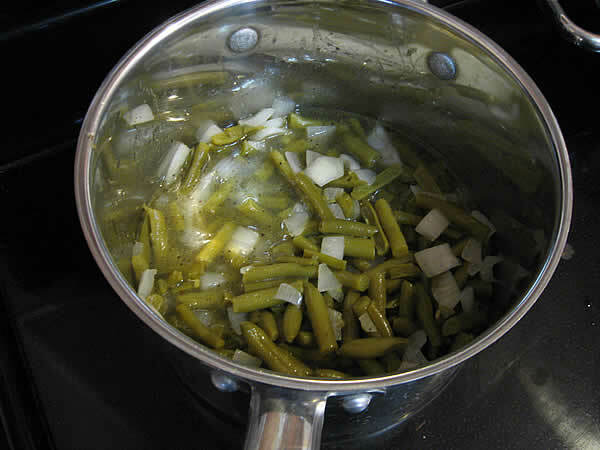 A pot of green beans and onions makes a great side! 4. 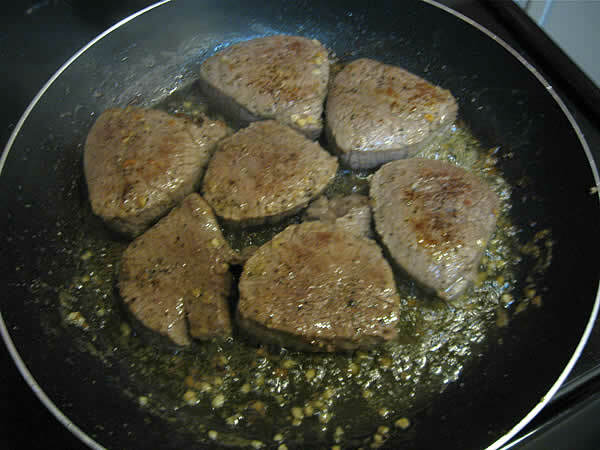 Cook the elk tenderloin steaks for about 2 minutes per side. The outside will brown, but do not overcook the tenderloin steaks because they will be tough. Done! The idea here is to cook hot and fast. 5. Let them rest with a foil tent over them. A good pot of green beans and sautéed onions will compliment the steaks well!